Marrying affordability with efficacy, Pixi’s skin care solutions have quickly acquired legions of devotees – from top beauty bloggers and editors, to die-hard customers who are totally addicted to their simple-yet-sophisticated range. This gorgeously glow-giving tonic has received endless acclaim (just read some of the rave reviews!) thanks to its ability to dissolve the bonds binding dead, dulling cells to the skin’s surface, revealing the radiance beneath. Beautifully gentle and soothing, this is a definitive Cult classic. 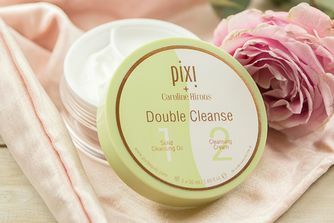 Instantly refreshing, Pixi’s gorgeous glow-giver brightens, tones and conditions your skin after cleansing. Enriched with 5% glycolic acid – a natural derivative of sugar cane, and member of the alpha-hydroxy acid family – this gentle, exfoliating formula dissolves the bonds binding dulling dead cells to skin’s surface, to reveal the ‘new’ healthy skin cells underneath. Aloe then soothes and hydrates while oxygenating ginseng promotes cell health and skin vibrancy; witch hazel firms and tones, while horse chestnut boosts blood flow, to grant your complexion a naturally fresh and dewy radiance. Astonishingly affordable, this is mild yet effective, making it suitable for all skin types – just apply a few drops to a cotton wool pad, and sweep all over skin after cleansing (morning and evening) to gradually diminish signs of sun damage, fine lines, scarring and other imperfections. This was my very first acid product and acids have changed my life since then. It is very mild and suitable for people, who have never used acids on their face before, but I feel it is yet effective ever for the ones who have more experience with Glycolic based products. My skin is prone to breakouts and pigmentation and this product soon showed me that Glycolic acid is a great treatment for my problems. I love that it doesn't contain alcohol or a distinct smell. I encourage you to try it, even the smaller size. I use it night and day, but make sure to build up your tolerance toward the product. The first week I overused it and got texture between my brows and on cheek areas, but it went away once I started to use the product less often and allowed my skin to adjust. I have used it for almost a year and plan to keep using. After 2 weeks of use my skin got irritated, red bumps, itchy and got pimples (which I never used to have). Super strong scented product. Would make my skin dry out. It didn’t make me break out but would make the existing breakouts sting. A bit expensive for the content. It definitely helps my skin but I have noticed I have more break outs since using the product day and night. It’s okay but I prefer the Retinol toner as I am in my early forties. Feels really tingly and I don't think it works well with sensitive skin. The scent is very strong. I think this would work better if it did not contain so much fragrance in it. Makes my skin super sensitive and flaky the next day, but no breakouts. Have always been one of those blessed people who never gets spots but recently I've started going to the gym a lot and noticed some under the skin spots on my forehead I assume from sweat. Decided to try this and it has cleared up my forehead and slightly dried it out if I'm honest but now I have around 6 actual spots on my cheeks and around my jawline. Even throughout puberty I've never had this many spots! Decided to stop using which I'm disappointed about as I love the smell of the product and straight after use my skin feels so nice and thoroughly cleansed. Maybe the chemicals are too harsh for me I'm not sure. I don't see any changes, good or bad. Product is amazing. I would recommend it. I used every evening after I wash my face, this tonic gives me glow and refreshes my face. I’ve been using this for about three weeks and I’ve already noticed a difference. For me a little goes a long way but just make sure you don’t frequently use it if you have sensitive skin because of the glycolic acid! Just started using it and it seems to be working well however your "How to use" description doesn't exactly correspond with the actual directions on the product - "Can be used AM and PM after cleansing" it's a 5% glycolic acid and it clearly states on the bottle "contact of the product with the skin must be of limited frequency and duration" . Honestly I use this every day and my skin is brighter and so much softer, exfoliates so well. Definitely part of my daily skincare. I wasn't sure about this at first as I was only using it occasionally but now using every day morning and evening and it's fab! Gives me such a gorgeous glow to my dull dry skin and now a must have! This is a great acid for using every evening to keep skin fresh and smooth. Highly recommend, especially as an introduction to using acids. Don’t get the hype. Nice toner, but that’s it. Incredible glow? Exfoliating effect? Amazing brightness? Really? My skin looks all the same, with or without this one. I’m 45, and yes, I’ve got a pretty good skin, but it’s not from any topical agents. I love this product, leaves my skin glowy, feels smooth and healthy! I leave three days between uses and it helps to make my skin look glowy and dewy and to take down redness. I haven't broken out as much as I used to since I started using this product. Its my 5th bottle so in love with it.. get compliments from a lot of people. Couldn’t go a night without applying it. I loved this product, its price and amount of glycolic acid. Great website. Haven't used it too long, but seems to be working. Since I've been using the tonic in the mornings and at night, my skin looks so much better. I hardly ever have breakouts anymore, this is definitely a keeper - will order again. I also don't need to use peeling anymore, the dead skin cells just aren't there anymore. Love. This product is amazing. Does such a good job. Bare in mind it doesn't work straight away. You see results after a month. I am addicted to this. I have dry, sensitive skin and this works wonders for me. It's so gentle yet incredibly effective! I can totally see the difference in my skin tone and radiance since I started using this. I love the smell too! I have cystic acne, as well as very sensitive, combination skin, and this product doesn't give me breakouts. If anything my skin has been looking a lot better lately (in conjunction with Indie Lee Brightening Cleanser and Alpha H Clear Skin Daily Moisturiser), much clearer and smoother. So I'd say it works well, for me at least, and I'd buy it again. I use this Pixi tonic only at night 2 times a week, but every time I use this, the day after I have a cystic acne. I'm not sure if this just the process or it's actually not suitable with my skin. This is one of the best purchases I have made for my skin! This is amazing and would highly recommend this to everyone. Amazing product at a great price! It is very gentle. This tonic can moisturise your skin a little bit. As an exfoliator, it does nothing. Nice smell. A must-have toner especially for blemishes. I noticed they have reduced significantly. I use it 2x a day and a bottle can last for a long time. Worth a purchase. To be honest this wasn't the miracle solution that I hoped it would be. I have oily/normal acne prone skin with large pores. It didn't really make a difference. It didn't do anything bad, but not for my skin I guess. Honestly haven't seen any difference in my skin. Been using it every night for almost a month but sadly wont be buying it again. I have been using this daily now for 3 weeks and it has made such a difference to my skin, I am 34 and have dry skin, but suffer from an oily T-zone. This has really evened out my skin tone and exfoliates fantastically. My skin has never looked so radiant and I will definitely continue to use this product in the future. I'm most suspicious of all beauty products really doing anything and think it's all just a load of crap but this actually does work. Clears my skin up and gives it a fresh glowy look. I haven't used it for about a month cos I ran out and I've noticed how lacklustre my skin looks without daily glow tonic. I have quite sensitive skin and this doesn't cause any issues with making my skin feel raw. I just wouldn't rub it in too hard, just lightly wipe over your face and use two pads at the same time to evenly spread across your face. I have also bought this product twice and the second bottle smelt strange but still worked the same. Really great with my combination skin, non-irritating, does what it says it does and yes definitely worth all the hype. Cleans the dirt really well. I’m on the fence with this as I find it way too strong on some days. Horrible sticky film on my skin and too strong perfume. I don't have skin problems, so I can't say if it helps with acne, scars or something like that, just wanted something refreshing, but this is definitely not for me. Lovely and soothing but prefer my P50 for more instant results & Alpha H Liquid Gold to this. I have sensitive skin and usually, I'm wary of products like this but it didn't irritate my skin at all...which sort of makes me wonder if it's doing much. It's a nice follow up for a cleanser but I've been using it daily for a few weeks and I don't think it's anything to write home about. Although I didn't see any amazing results, it definitely makes my skin feel fresh and clean. I really wanted to love this product because of all of the hype and great reviews, but I feel let down. My skin really did not react well- it stings a lot and my skin felt raw the whole day after using it! I did some research online on this and I read that for some people this is common at the start and then it goes away, and if you get stinging to use it in the evening every other day...I'm happy to do this but the company should really advise this on the bottle because the stinging was very unpleasant. I have never used such a great tonic. It removes blackheads, cleans skin. Such a great product for oily/combination skin. Does not burn. Smells really nice. I really liked the feeling of it on my face, but it broke me out. I kept on using it though. At first, I thought it might be hormonal breakouts, but once I stopped using the product, my skin cleared up. Now I get why its a HG! I have a combination dry sensitive skin and first time user of acids. On my first try, I gently patted a soaked cotton my skin. I felt some tingling sensation here and there - jaw area and forehead - but NOT a burning sensation thank God. My skin felt tender too - I asked my husband to shave if he wanted his face to touch mine. The next day, no redness and my pores looked smaller and my skin clearer. Definitely saw the glow instantly. Will keep using but will also take my time to let my skin adjust to this. This toner is amazing and leaves my skin feeling cleansed and fresh. Got as a gift and will definitely be purchasing for myself when this one runs out. Pixi Glow Tonic is great for everyday use. I’ve quite sensitive skin but use this every day with out any stinging. Pixi glow tonic is a must. I've fallen in love with this toner. I have sensitive and combination skin and I'm in doubt when I tried this toner in the beginning. I felt a little sting on my face, for the first one week I applied it's during my night skincare routine. Then when feeling my skin can tolerate this toner and does not give any reaction, I began to use its AM & PM. I start to notice a slight change in my skin after my 2nd week of using this toner. Brighter and now is my 4th week, I notice that my skin is glowing..so in love & I think I will not switch to any toner after this. Good for Eczema-Prone, Sensitive Skin Too! This product is the reason I look forward to my skincare regime every morning and evening. I absolutely love using it, it causes zero irritation to my eczema-prone, super sensitive skin. My skin is visibly clearer and brighter. I have been using it for a week now and I am loving the results. The amount of this product will last solid 3-4 months. I have acne-prone skin, and I like this toner. It gently exfoliates, smoothes and refreshes my skin, very good product. A real gem. I have no idea how I lived without this, super recommend! My first order of Cult Beauty was this product. I have the problem of mild acne. I am using this at night and after this product use night moisturizer. In the morning my skin looks bright and fresh. Hyped too much, started tingling during the first couple of days but not much difference in my skin. My favourite toner. I usually clean my face with micellar water, and afterwards use the glow tonic, which cleans the remaining makeup and dirt on my face. I’ve stopped breaking out on my cheeks since I began using this. The only breakouts are hormonal ones on my chin. This is amazing! I will repurchase once mine runs out. Was very excited about this product because of all the great reviews, however, unfortunately, it made me break out after immediately (likely due to the fragrance). On my 5th bottle & will forever be using this tonic till I’m old & wrinkly abs love it. I really liked. After use, the skin becomes smooth, acne and post-acne go away. one minus the smell. It's a super toner that makes my skin happy. I have noticed significant differences in my skin since the first use. I have sensitive skin and I noticed that this tonic smoothes my redness and made my skin much smoother and brighter. After a month of use, I saw that it significantly reduced my texture, and reduced the tendency for the appearance of some imperfections, bubbles and textures. It's already a must-have of my skincare routine. Been using this for a month and I can see a lot of improvements it did to my skin. No more tiny bumps and my skin looks glowing! This is my #1 holy grail toner for no pores and the best skin texture I've ever had. I tried straying from it to test out stronger acid toners (AHA/BHA/PHA, the works!) but found this formula to be the best for my oily/combination yet SUPER sensitive skin, even when used twice daily. I’ve seen such an improvement in my skin since using this. I suffer with quite dry and bumpy skin and this has improved both. Stick with it because the first week or so, my skin definitely got worse, before it got better! I use it after cleansing in the evening and sometimes in the morning before morning and it makes my skin glow. Definitely recommend it! Shocks me how anything can be so effective yet so cheap. I always look so much more glowy and healthy after using this and the 5% glycolic is super gentle on the skin. Still only use this approx. Twice a week though because my skin type is very dry, however, if you're more on the oily side, I assume this would be great for everyday use. Been using this for a month and have noticed a difference -smoother skin texture and more balanced. I have combination skin/acne prone/dry spots on my cheeks. I've used a lot of alpha hydroxy acid products through my dermatologists in the past - but found this to be a really good, mild everyday way to incorporate it into my routine. I use this as a toner in the evening and follow with Mizon's collagen + Caudalie essence, and then my serum/moisturizer routine. So i have been using the P50w from Biologique Recherche since 6 months now and I really liked it! Then I started to read a lot about this toner and I said 18£ is not that expensive, so I could just try it.... the P50W in 150ml is around 70£ so this is a much better price. So I did try it and I LOVE it!!! It’s softer than the P50W but I think that I’ll use the Pixi lotion every day and the P50W ones or twice a week just to push it a bit more. But this lotion is great!!! It smells good, you get 250ml for 18£ so pls do not think, buy it!!! It’s really that good! I started using this and can't stop now, it makes my skin dewy and radiant, considering the price this has become one of my fav toners. It feels gentle and soothing on the skin and leaves the subtle glowing complexion. It is quite hydrating with the aloe vera juice as the main ingredients. I really recommend it to anyone looking for an affordable chemical exfoliator, especially for beginners. This is making my skin so radiant and healthy looking! Love love love, will reorder when I go through my first bottle. Glow tonic does exactly what it says. It gave my skin a beautiful glow and I felt it more hydrated. When I looked in the mirror my skin was radiant and refreshed. I've always tried to find products that my skin likes myself, but I've never had it all quite right until I got this. This is the perfect addition to my skincare routine, it keeps all the breakouts (that almost never occur anymore) under control. It doesn't help with oiliness though, but I don't mind. My skin has been looking and feeling the healthiest way possible since I discovered this, and I couldn't be happier about it. Highly recommend! I’ve been using this for about a week now. I decided I’m not going to use a toner that is full of alcohol as it causes aging plus I hate how alcohol based toners dry my skin out. This is right up my street. When I swipe this in my face it feels comfortable and doesn’t burn at all or dry my skin. In fact, my skin even feels moisturised and clean. Despite this being, 5% glycolic the dead skin on my face has disappeared completely and my pores on my nose have cleaned up. Really love this product! This is now a staple in my routine. My skin no longer looks a grey and dull. It looks energised and radiant with a flush of healthy colour. And my skin looks smoother and clarified. I am on my 3rd bottle of this stuff, absolutely amazing product! This product has not impressed me it’s a normal toner didn’t make any difference on my skin. I have been using this daily for about 8 months now and have not yet completed the bottle. I think it has an overall hydrating and brightening effect on the skin and is gentle enough for daily use (my skin breaks out from stronger AHA's). In addition, it has helped my skin to improve absorption of other products. My skin was unbalanced from using harsh and stripping acne cleansers and creams. Although my skin is still quite oily, all the dryness has gone and I can layer a few serums on top. This serum helps my skin to fully absorb even the stickiest serums. I absolutely love this. Leaves your skin with a nice healthy glow and you can see that your skin brightens even after the first use. I was always using a tonic or a micellar water. Just started to use this Glow Tonic and I liked. Feeling my face clean and with a nice glow. I've been using this for about 2 weeks now and I really love using it! I love the smell, the feel and most of all it doesn't cause a reaction on my very dry and sensitive skin. It doesn't dry my skin at all and my skin does appear to look healthier with fewer spots. I am already considering keeping this product in my permanent skincare routine. Makes my pores look smaller and makes my dry skin feel hydrated and have a nice healthy glow. Ideal for acne prone skin. I love this tonic. Makes my skin feel clean but hydrated. I always suffered from large pores and bumpy uneven skin texture, this has smoothed out my skin and I feel like my skin is brighter and healthier looking, would highly recommend this. I have very sensitive combination skin so I thought because of the glycolic acid in it that my skin would react, but it hasn't. Since I use it, I haven't got any acne anymore, which is pretty awesome. I have very sensitive skin that is also a beautiful mix of acne prone and dull. This sounded like the perfect solution but sadly it just broke me out in lots of small bumps on my forehead (even when I reduced use to just once a week, my skin was always worse after using this). Not for me sadly. One of my favourite acid toners, makes skin feel fresh and clean without feeling tight, I'm on my third bottle. This doesn't seem any different to other toners I've used. It didn't have the wow factor for me and I didn't notice any difference other than additional breakouts. The great reviews and affordable price tag swayed me to try this product. It was my first experience of Pixi products and I have to say, it didn't disappoint. I have trouble with breakouts on my chin and this is by no means a miracle in a bottle, but after about two weeks of use the entire appearance of my skin had improved. I would recommend to anyone and look forward to trying other products from the Pixi range. This is probably the best beauty product I've ever bought. Within two weeks of using it my skin was brighter and clearer, a noticeable difference. Highly recommended. One of my favourite toners, and makes a huge difference to my skin. I've been buying it since it came with the pump dispenser, which I miss, but this packaging is so pretty. It lasts for ages so you get a lot for your money too. A really lovely product. My skin is usually oily-to-normal, and while it *does* feel dry after I use it, it also feels like my moisturizer actually absorbs afterwards, rather than just sitting on top of my skin and feeling heavy or greasy. Almost 3 months later, it's become a staple in my daily skin care and I'm reordering a new bottle. It helps my skin feel cleaner and less oily. I love it. Main problem with my skin is that it is dull but after using this product for 3 weeks now my skin has improved significantly and looks brighter and feels amazing. After reading rave reviews on the Glow Tonic I decided to buy the smaller bottle at first to try. Honestly I'm glad I only spent half the price on this. It isn't terrible, it did ok for toning but it left my skin so dry. I have normal to oily skin. Tried it out everyday for weeks but had to go back to my regular toner then finished with rose hip oil to get a glowing healthy effect on my skin. I've only been introduced to acids last year and Pixi's Glow Tonic was a good introduction. It worked as gentle daily exfoliator, smoothed out my skin and those what my facial beautician called as "skin tags" were slowly diminishing. It was gentle enough not to cause any irritation to the skin. Worked wonders too on those occasional breakouts. It's now part of my daily skincare staple, I'll definitely keep on repurchasing. I'm also happy to find this tonic. When I first got the Glow Tonic it was very anticlimactic, because I really didn't like it. I thought it was completely overhyped and I even thought it made my mega sensitive skin breakout! I stopped using it for a few months, ruing the money I spent on it, until I decided to give it another shot when my skin felt dull and awful. I've been using this everyday for the past 3 months and I can honestly say this has made my skin look the best it has looked in YEARS. My dehydrated, combination skin is now glowy, super even and this has made small breakouts I got every month disappear completely! It's nothing short of magical and I will not be without this again. 100% worth the hype! I really didn't have high expectations on this product, as I had used some tonics before, and never felt they were necessary. However, there had been such a hype around this (and I'm a sucker for a hype product), so I purchased it. And wow - I was proven wrong. This is a great find. It leaves my skin feeling so fresh, and renewed. It creates a perfect base before applying makeup, as it leaves my skin slightly dewy and glowy looking. So glad I purchased this. It's refreshing, non irritating and calming and you only need little. Keeps the skin happy. Been using this for over a week, twice a day. I have a small face so I do not need to soak the cotton, a few squirts were sufficient. Very minimal tingling sensation after application, nothing uncomfortable. Went off in a short while. No issues with the scent either, not too strong and disappeared quickly. Results: Pimples dried up FAST. No more tiny pimples showed up along the hairline either! Smoother complexion. Like really smooth. My pores are shrinking fast. Love it so much, will definitely re-purchase soon. I have an oily skin and having used this product for over 2 months I can tell a difference in how my skin looks and feels. It's brighter and smoother - once of very few products that i can honestly say made a difference. I never used toners as couldn't see the point until i tried this one. I'm on my 2nd bottle now and hope this never get discontinued. This is a nice, gentle acid toner. Good for the price. Not sure it is essential if other stronger acids are part of your regime but nice to use. I really wanted to love this and it sort of smooths my skin but I can't get passed the perfume. This toner was exactly what I needed. Brightened my dull, tired skin, helped tone my pores and got my hormonal breakouts under control. I wouldn't be without it now. Not a game changer - but it is a face changer! There are a fair few products like this on the market, but this is definitely a great option - especially in terms of value for money. It's a gentle chemical exfoliant which I really like to use in the morning to keep my skin looking fresh and bright. I have oily/combination skin and for me it's not enough to keep my skin clear on it's own without using stronger acids in the evening (although if you have sensitive skin this could be a great option for you). But I do really like this as an addition to my AM routine. I highly recommend this toner to anyone with combination to oily skin with acne. I use it every morning and it really does what it says - exfoliates and makes your skin glow. I've been using this tonic for 2 weeks and really like the result. Very gently renews the skin. After that, my face looks more fresh, radiant and rested. This is one of those rare products that actually delivers on what it promises. I have been using it for a couple of weeks and I feel my skin is brighter and fresher as a result. It does tend to tighten the skin on application and make me reach for the moisturiser immediately, so maybe use it every other day if you have problems with dry skin (it isn't very hydrating, as it claims). I use it once a day and find that is enough. My pores are refined and my skin is generally more glowing, and I can actually tell that I am using it - so many products make little to no visible difference, that's why I'm so impressed with this one. For a woman of 49 yrs, with naturally ageing skin as my concern. I think for most ladies looking the best you can gives you a new lease of life. Anyway, I've tried so many products, spending a vast amount of money on the supposed next best thing. Pixi Glow Tonic, is definitely worth having a shot at. I suffer from dry and sensitive skin and this product WORKS REALLY WELL for me. Whilst the leaving my skin feeling refreshed and prepared ready for the next stage of your skin care regime. Glycolic Acid aids in exfoliation, therefore helping your moisturiser work much more effectively. I suffer really dry skin so was excited after hearing about this to try it out. 1. I don't love the smell. 2. my dry skin still feels tight after application and I have to apply moisturizer right after to stop my face feeling itchy and tight. I don't know if this is why I maybe haven't noticed a difference as I don't wait long enough for it to soak in. Prob great on combination skin but not for super dry skin like me. There's a reason this is a cult favourite. I originally bought it as I'd run out of my usual Temple Spa toner and I'd read the reviews and wanted to see what all the fuss was about. I have combination skin that can get quite dry in places and quite oily in others with the odd break out. After just a few weeks of using this I saw a noticeable difference and my initial concern that it might dry out drier areas of my skin were unfounded. My skin feels clearer, more even in texture and has a lovely glow. I've not looked back since and it's a regular in my daily skincare routine. (It has to be good for me to decant it into a smaller bottle to take on holiday! I see there's a smaller version available now too which will be handy). Great product, lasts a few months and well worth the money. Amazing value for money!! Clears my blemishes and keeps my skin looking fresh and glowing. Literally my go to highly recommend!!! I NEVER leave reviews for anything like EVER but this product is amazing, I have never seen results so fast literally over night and I've used a lot of different products, my skin looks amazing and feels so soft, I've come back on here to now order a few more products that they do because this one was so good, love love love it. Holds up to it's reputation! Finally, a toner that doesn't dry/sting or do nothing at all. This gives immediate clarity and brightness to my skin. I wouldn't use another toner now. Converted! I'm now looking to venture on to other PIXI products in the hope they pack-a-punch as much as this one! Lovely to see a product in the beauty industry that does what it says it will; and doesn't rip you off in the process! This is such a good product for its price. It is very refreshing and makes my skin look healthy and rosy. I use this in the morning in between cleansing and moisturising and also some evenings when I´m not using Liquid Gold. I will definitely be getting another bottle of this. I've been using this for a year now and my skin's built up enough tolerance against acids so this is a nice one to use in between my harsher acid toners. it takes awhile to finish the bottle so it's very value for money! Was bought this as part of the pixi mini set of 3 by my sister in law who is a fan of it. Great toner and definitely gives a glow. I returned the favour and bought this for her bday along with the travel pads that they do of it and some Glow Mist. Paid for it to be packaged as a gift and she was thrilled x Will definitely do it again x. P.S. please get the bigger size of the cleansing mud in soon! I don't know why but I feel like my skin is red, raw and stings when I use this. It hurts when i use my moisturizer and foundation; not a good experience. I have used Alpha H liquid gold which has higher percentage of glycolic acid and had no problem. So i think this has an ingredient that irritated my skin. Lasts long and does what it promises for a very good price. I have combination skin and have used one bootle up, which early happens. This product works; it clears, it smoothes, and it gives a subtle vail of glow to my complexion. But it does not magically make my T-zone-oiiness disappear. Amazing!!! A must have for every woman!!! Only item I purchased from the goody bag! Absolutely love this product. My complexion looks so much brighter and is a great way to prep skin for my serum. I love it so much I always buy a "spare" in case it's suddenly out-of-stock. I love this so much, I get stubborn blocked pores on my chin, and nothing I have used gets rid of them, until i used Pixi Glow Tonic. It has made a huge difference in the appearance of my skin. When I have ran out and unfortunately forgot to purchase a new one, my skin started to get the little annoying clogged pores again. A must have, best toner ive ever used! I used to have dull yet oily skin with acnes and acnes scar. Bought this after a recommendation from a friend (she is a beauty blogger!). Been using it for almost 3 months now and my skin was changed forever, now it looks more glowing, less sticky and acnes reduced noticeably!! Friends and family have been noticing the great improvement on my skin as well. Don't think I will switch to another brand! I use this alternatively with the first aid beauty pads, although it does have a odd smell to it, kinda like spa/oaty (it'd weird) but does disappear a few minutes after you've put it on! Really good for teen skin, and helps stop break outs. Totally love this toner. My skin feels smoother the next morning. I have acne prone skin and this toner does not make my skin break out. Worth trying! I have bad acne and struggled to find a toner that didn't leave my skin feeling sticky and horrible, so I decide to try this toner as I had heard good reviews about it. This toner is amazing; My skin has a healthy/radiant glow and my skin has never felt or looked better! I bought this product after a recommendation from a friend. I've been using it for about 2 weeks and I love it!! I've found that my skin feel and looks fresher, clearer and brighter. Friends and family have even commented on the difference. Definitely my new favourite! I've never used a glycolic acid before so I don't have anything to compare it to, but it seems to brighten my skin and improve the texture. I would say I have fairly sensitive skin, so I was apprehensive about using it, but it hasn't caused me any problems. For me it's a good balance between gentle and effective. I like the bottle and scent, which I think is light and clean. I bought this hoping it would improve the texture of my skin, but it did the exact opposite! I hated this product with passion and do not recommend this for anyone with sensitive skin! Can definitely see why this is such top seller. Have tried different pre-moisturiser treatments, from toners, essences, to spray-ons, but this one is the one that shows the greatest difference for my combination skin. I went off it for a month as a test and did notice a difference when I re-used it again. It does seem to clean out my pores much better. My skin luminosity and pores have improved with continued usage. I did notice instructions saying "a few drops" - umm... try soaking the cotton pad more like it. A few drops disappear too quickly! Bought this after seeing great reviews and basically in every beauty guru skin care routine on youtube. I never use toner so maybe my skin is not used to it but I didn't see any difference. Didn't make my skin ''glow'' or make it feel nice and hydrated. It's a shame, I really wanted to like it. Giving it a 3 star because it's a big bottle and for the price I thought it was pretty good, and also didn't irritate or brakeout my very sensitive acne prone skin. I use the Pixi Glow Tonic once a day in my nighttime routine after cleansing. It helps to slough away dead skin cells and leaves your face feeling fresh and glowy. Since I have been using this I have seen a reduction in acne scars and new spots. This is an excellent exfoliating toner, not too abrasive, even though I don't use it every day. I have combo skin prone to congestion, and this leaves my skin bright and happy. I don't find it very effective on clogged pores, but it's excellent at fading acne scars and giving some glow to the skin. On to my 3rd repeat purchase and it a product I use almost every morning. Skin is much better using this and I think it is excellent value for money. I have fairly dry but acne-prone skin, so it can be hard to find an acid toner that isn't too harsh but still gets the job done. I was really happy to find that this product helped my blemishes clear up faster and improved the overall feel of my skin without drying it out. I love this product. I use it twice daily every day and on my third bottle. It really brightens my skin and leaves a luminous subtle glow that all of my friends & family have noticed. I will never stop using PIXI GLOW!!! Pixi glow tonic is my holy grail product. It removes my dead skin instantly and I think it has a good price. I suffer from acne-prone skin with lots of acne scarring and I've tried almost every skincare product you can name, from high end to drugstore. This product is amazing. It cleared up my skin and has helped to reduce scarring. It's gentle enough for my extremely sensitive skin but does the job. Worth the hype. Leaves my skin feeling soft, 100% clean and smooth. My pores have shrunk in size. Cannot get enough of this product! I'm gutted I paid £18 for this. After reading reviews and debating for a few weeks to get it or not i tried it and it broke me out big time. I just got my skin to a point where I was happy with it and I can see the improvements and now I have 4 huge sore spots on my face. Not only that it oxidised my makeup, I have the lightest foundation that I've used for months and when I used this even after letting it sink into my skin I turned orange. I've suffered with acne for about 15 years. I have dry skin but an oily T-zone. This is a great product. Easy to incorporate in to my routine and very effective. I've sensitive and reactive skin and I use this every day now. It's works! Surprisingly after just a week of use I saw such a difference in my skin tone and knew this product was going to be a must have in my skincare collection for years to come. Pores had shrunk in size, skintone looked clearer and skin was glowing just as I had hoped for. I felt so much happier without foundation on and felt I could even brave it and just wear a light tinted moisturiser. How little changes can make you feel so much better! Lives up to the hype. Refreshing and lively, this is an easy-to-use acid toner in perky packaging. It leaves my face feeling soft and clean and ready for the next step. There's always a bottle of it on my shelf. I used to have very good skin, but the last year my hormones have been majorly out of whack, and I find myself breaking out in spots and having oil but flaky T areas. I have been using this for 10 days now, each morning before I moisturise and each evening after cleansing. This has dramatically reduced my spots (yes I am still plagued with the odd under the skin boulder, but luckily my doctors are finally listening to me!). As for my oily/flaky T-zone areas, they look great, no more flakiness and my skin is a lot less oily now. It's true this actually makes your skin glow! I have sensitive skin and this doesn't sting me at all (just a little dry so make sure to moisturise after). I usually take a lot of convincing to buy something, but I'm so glad I got this. It's worth every penny! I have been fighting PCOS acne skin for many years and when I started using this toner everything changed. I know this sounds hyped up, but it really did change how my skin looked and felt, and still does. I never liked toner, didn't see why I needed them, but then Caroline Hirons talked some sense into me. And I haven't look back since. This will stay in my skin care routine until it either stops being made or I die, simple as that. I really do love this tonic, it soothes my skin and has definitely helped even my skin tone and fade old acne scars. Will definitely repurchase. I've been using this toner every night as second step of my routine and I've been loving it! It feels gentle on the skin, helps exfoliate and it is not sticky at all: it leaves my skin soft and smooth. I'm going to repurchase it right now! What an amazing product, I used it for about 4 weeks and before that my skin was dull, spotty, and patchy, all I can say is its like I'm born with new skin, it glows. I have no blemishes and I have very even skin tone, I have used crème de la mer and the effects are on par with that, l'll be buying another bottle because it really is magic! Firstly, let me say, I should have known better. I'm not a fan of chemical products. I really don't like interfering with what my skin does naturally and I don't like toners I can't use over my eyes. I know loads of people love this product, but I didn't find it helped my skin. I'm combination with blemishes. I didn't notice an improvement in my blemishes, and found the product stung to apply. I also have uneven skin tone and actually felt that this made that worse. My skin also felt crepe-y after application rather than refreshed. However, it seems to work for lots of people. So glad I bought this. I'm in my mid-20's with combination skin that is prone to patches of dryness and clogged pores. Within about two weeks of using this daily AM and PM, I started noticing that my pimples dried up really quickly and my acne scars faded. You have to be rigorous with using moisturiser as the exfoaliation is quite powerful but I'd never be without this product now. Also it smells really nice but not artificial. Going to try the rest of the Pixi products now! Tried this after a seeing a glowing recommendation from Caroline Hirons and I love it. I use it three to four times a week as part of my night time skincare routine. If you have dry skin it can be a little drying, but cutting back on usage to two times a week should be fine. Great product. I can feel the deeply clean and freshen up my skin. My uneven skin area looks brighter after a week of usage. 10/10 - Noticed a huge improvement in my skin, I use it Am and Pm. I usually suffer from congestion, clogged pores and acne even though I have dry skin and I feel this unclogged my pores and got rid of my blackheads without drying out my skin at all. Highly recommended for young people (20s to early 30s) that have the same concerns as me. From the first evening I used this exfoliating toner I knew it would become a staple in my routine. A few months in and my skin has never been clearer - even my boyfriend has noticed. My scarring from previous blemishes has reduced dramatically and I've hardly had any blemishes. A must have for me, I will be repurchasing the minute mine runs out! Thank you Pixi! I was recommended Glow Tonic by a friend as I have dry, sensitive skin .I have been using it twice daily & have noticed a big improvement in my skin tone and texture. My skin looks smoother and less dull. Initially I did not like the fragrance , but I have gotten used to it & enjoy using my toner as it gives great results ! Finally listened to Caroline Hirons and bought this. Have been using similar products three times the price but find this just as, if not more, effective. Doesn't sting at all and after only a few days I'm noticing more glow and some pesky little whiteheads have disappeared. Brilliant stuff and great value! This tonic is worth the hype! It helps you clear your skin of spots and even of pigmentation. It is a great tonic for people who are starting out with skincare and suited for any age. I would say though as I'm getting older I will require a stronger one although this does the job right. I bought this as an alternative to Biologique Recherche Lotion P 50 since it was too harsh for my sensitive skin. I like to use everyday exfoliation toner just to make sure all the good stuff I apply after is able to sink in properly. This toner is good for sensitive skin and I generally like using it. Btw, it smells way much better than BR P50! I've been using tonics for a few years now, and I've never felt they've done much for my skin besides the added 'facial experience.' Until now. The smell is not my cup of tea, but not offensive by any means. And it works! My skin is looking brighter and smoother (bye, bye milia), even after only two weeks of using it once a day (I'm lazy, I know...). Do beware that it has AHAs, and so you should use sun protection daily! Totally love this product, I have only been using it for a few weeks but my skin is so much brighter and clearer. Thank you to my daughter who recommended it to me. I have congested, oily, generally disobedient skin. Naturally, I love liquid exfoliants and this one is genuinely superb. I was surprised by its efficacy because it's so calming and gentle - but it packs a punch. Fades acne scars and improves skin clarity. This is an effective acid toner that I decided to use on my whole body because of its low price point. I find using a physical exfoliant on dry skin full body to be drudgery, and so I just wet a cotton pad with this and use it everywhere. I love it. This is my second bottle of this tonic & I use it in rotation with other toners. It has a lovely scent, not too overpowering & I can definitely see an improvement in my skin when I use this. It is quite gentle & doesn't irritate my skin so is a product I will definitely be keeping in my routine. I love this stuff! I use it twice a day, morning and evening after cleansing and it's really helped to even out my oily t-zone. It's very gentle, but really works and has helped with my rosacea-prone skin. Only a small amount is needed for each application (one cotton pad used on both sides), so it also lasts a while. Great skin care and even better value for money, what's not to love?! **Just be warned, it tastes awful, so don't be as stupid as me and get it in your mouth! Not much more to add really! This is a superb treatment to exfoliate without having to use a scrub. Love it. Even after cleansing my face with the clarisonic I am still left with a grimy cotton ball after using this product. I am definitely feeling and enjoying the cleaner, glowing skin! A recommendation by skincare expert Caroline Hirons made me buy this product. It absolutely keeps what is promised on the tin without being drying or harsh (my skin is dry and sensitive). This product will always be part of my skincare arsenal. This toner really does the job. After using it, my skin is clearer and glowy. I really love this product. It works on my enlarged pores and helps like no other to smooth my skin and to make it more radiant. I've only used this product for a week, but already I'm noticing clearer skin and fewer white heads! I've used highly rated rice bran scrubs in the past, but pesky whiteheads were a common recurrence... until now! I’ve been using this for a while now and to be honest haven’t felt that it’s made much of a difference to my skin - the impact it’s had has been minimal. I’m going to persevere and maybe try a different face wash /cleanser/ moisturiser to see if it improves when coupled with something else. I use this every night and I always have backups. When I stop using it I notice my face is more dull and less bright. I wouldn't recommend using it in the morning though and always wear sunscreen the day after using it (you should be wearing sunscreen everyday). I bought this because I had heard so much about it, and I was secretly hoping it wouldn't be that good. However, I am now slightly annoyed with how good it's made my skin look, because it now means I have to keep buying it. I have very oily skin, and it just makes me look fresh instead of oily. Even my friends have complimented me on how good my skin looks! Been using this product for months now, and I can not live without it. I use the glow tonic AM & PM. Its's super refreshing, leaves my skin so clear and radiant. I was unsure if this product would suit my skin, as it can be very oily but the glow tonic doesn't make my skin oiler, just fresh. For me, this is a 5* product. This is my very first review of a product because never, ever has a skincare product amazed me in such short time. Overall status of my skin is in a good shape but I had acne scars on my jawline and lower cheeks. Those red patches that seem like they will stay with me for a very long time. I had a really noticeable one on my cheek which looked like a dark red tattoo. I used Glow Tonic only in the evening for ~15 times in 3 weeks and 90% are gone. That dark red one is light pink now and I believe that in the next 3 weeks it will disappear for good like the ones on my jawline. I use this toner every night, it makes my skin beautiful. Honestly doesn’t do a whole lot it really just brightens your skin and gives you more glow. I know it’s whole thing is that it makes you glowing but you would think it would help with clogged pores as well and I can confirm it does not. This is a need! I am on the third bottle, and now decided to get the Supersize, can't go with my day without it! Love this stuff! Was sceptical at first as a lot of things don’t ever work for me...been on medication for my skin etc and nothing has really worked until I got this! Use it morning and night and have stopped taking my medication so I can see the real effects! It’s amazing. Totally transformed my skin! A really amazing toner. My skin is combination and this is great for removing excess makeup, making the skin feel really clean but not dried out, and gives a light exfoliation. I use this at night and before makeup and I can’t live without it! I really wanted to love this product but it dried the hell out of my skin. Made my skin very sore and also the reason for the dermatitis outbreak in my face. I have first used this product three years ago and wasn't too impressed by it, but I've decided to give it another try last year and I haven't stopped using it since. It's a very gentle exfoliating toner, it brightens the skin and leaves it looking super plump and glowy. Long term, I would say it also helps keep the skin clear and improves texture. If your skin is used to stronger acids, this won't make much of a difference, but it's a very good, entry-level product for people who are new to AHAs. I would definitely recommend trying it out. I’m 18 and prone to spots and I can honestly say this has been a big, big help. It has not only massively reduced the number of spots and breakouts but also left my skin feeling brighter and with a healthy glow. Really makes me feel more confident. I'm happy with this tonic. I hardly ever have breakouts now, and if have - they are so small and gone within 1-1,5 days! Blemishes and dry patches gone within the day! Skin is more bright and smooth. The first time using it, I can see changes in my skin. It helps to soothe and hydrates my skin throughout the day. It brings healthier skin and glowing complexion. And the best part, it makes my skin so fresh and I feel energetic once I using it! 10/10 would recommend this product to anyone who wants try it. I really dislike this product. It has absolutely no effect on my skin, other than when I use it I see a pimple or two. Honestly, I think it is part of CH's miss-information that got spread. I personally hate the way it feels (I would be willing to over-look that, if I saw results). What a game changer! I don't get acne but I did regularly get spots on my chin, after I starting using this toner daily my spots are kept well away. I won't ever stop using this. I should probably preface this by saying that my skin is kind of a nightmare, and I have had acne for a decade that has managed to shift from severe to moderate over the past few years but refuses to budge completely. However, since I have started using this product I've definitely seen a reduction in pimples and blackheads they haven't gone completely, but I don't expect that from a product that doesn't specifically target acne. Also, last week I stayed at my boyfriends for a couple of days and forgot to bring this, and I IMMEDIATELY started breaking out more, so this is definitely helping with my skin! This was a big disappointment... I have been using it constantly for months and it does nothing for me. I will use it up on my body but won´t repurchase again. I would recommend Alpha H Liquid Gold before this to anyone. The packaging is pretty, it smells quite nice and is easy to use, but I genuinely didn't notice a difference after using this for two months. If anything I have had more breakouts than usual. Well, I have lots of acne scars, as for me this tonic worked well on my skin, I have an oily and sensitive skin. I use this like 2-3 times a week and for me, that’s how the product works well since it’s a form of chemical exfoliant. As for my acne scars, they are much lighter now. This will definitely remain on my skincare. It's nice, but unfortunately, in my opinion not suited for reactive, sensitive skin. I used glow tonic for two months and saw no difference in my skin whilst using it. I have combination skin and I'm prone to breakouts. My skin didn't 'glow' at all. The only AHA/BHA products that have worked for me so far are Paulas choice 2% BHA acid and Murad age reform cleanser. It's exactly the treatment I've been looking for my skin problems such as oily and clogged pores and instantly glow my skin. High five Pixi! I know this product has got all the hype, but it is just not for me. I don't want to say that it won't work for others because it clearly has. After receiving a lot of recommendations from my friends, and after reading tons of beauty blogs, I decided that it was time for me to give it a try. I swear I applied this tonic consistently, every night after I washed my face with gentle facial cleanser. A week passed, I had pimples and visible redness around my cheeks, which I thought was normal because they happened sometimes. But after a month, the redness just wouldn't go away and I had a lot more pimples around the already affected area. I guess the chemicals were just not suitable for my skin. However, it does cleanse the skin since I noticed some dirt on my cotton pad when I dabbed it with the tonic. But maybe it was too harsh for me. Now it has been a month since I have this on my skin and thankfully, my skin goes back to its normal condition. I am really glad that I stopped using it and to have all the pimples and redness gone. I've never actually used a toner before trying this one out, but I was sold the minute I used it. I've had dark red acne scars for quite a while, and they didn't really seem to fade, but this toner really help speed up the process, and now, two months into using it, they're almost gone. I am really surprised about how well this tonic performs. I've seen visible results in just one week swiping this with a cotton pad over my face every night. I had hormonal acne and this, as well as salicylic acid, made the most progress in getting rid of it. I used lactic acid before but it never showed such a great result. After using this for a month my skin tone is even, my skin is almost clear and happy and I think when I finish my first bottle I am going to buy the extra big one. Do recommend! I would recommend this to anyone who wants to start acid toner but has a skin that is more on the sensitive side. When I use this, it definitely makes my skin look glowy - people even complimented me on this. Love the ingredients as well. Only four stars because it could be a bit more “aggressive” for me personally. I use it after cleansing my face, and you can actually see on the cotton pad the amount of dirt we accumulate on our skin throughout the day and how this product does its wonders. It makes my skin softer. Such a great product. I had been using Alpha H liquid gold but wanted to try something cheaper and unfortunately, this really isn’t that great. It does make your skin feel lovely, however, but it has minimal results compared to the Alpha H version. It could be good for someone who doesn’t really suffer from any specific skin issues and would just like to add a toner to their routine, as it not as expensive as other high end products that are similar. I honestly cannot recommend this product enough. I suffered from a breakout of mild acne across my forehead and chin which would not clear no matter what products I tried. This toner took the swelling and redness down and I now am left with beautifully glowy skin acne free within three weeks of first use. Love this product. Only used it a couple of times but the result is great. My face looks glowy and it cleans all the dirt off the face. Only downside is that it stings a little but only for a minute - nothing major. I love this. It’s a great toner, gentle on the skin, smells ok too. It works. My skin feels much better for using this. Refreshed and tighter skin! A must have in any skin care regime. I have been purchasing this toner for years. This toner has a good scent and not irritate at all. It does a good job in exfoliation in a mild, gentle way. Works so well on my oily skin and do have a visible effect in smoothing my skin's surface with a finer, clearer texture. Amazing product. I completely love it. Being a total newbie to chemical exfoliation I searched the internet for gentle exfoliation and Pixi glow tonic is the answer to that. I had a congested skin with awfully big pores and closed comedones and using this product has taken care of all that. My forehead is almost clear and pores look small. Overall it has improved my skin texture. To everyone who wants to start chemical exfoliation this product is your answer. Start slowly at the beginning and please use sunscreen. Since I've been using this, I can't anything else. I use it after I cleanse my face and it still removes dirt from my face. Although other previous comments have stated there is no drastic change, I do agree however I do notice the freshness in my face when I have used this before bed- it smells & feels lovely, I may or may not re-buy this product but it does seem to have some form of benefit for my skin. While it looks and smells lovely, the product did not do much of a difference at all for my skin. A lot of the time it would also sting. Honestly a little disappointed in this being a "cult" product. I have fairly uncomplicated skin and while I've used this for 6-months, I don't see any drastic changes in my skin, glow or texture. Maybe it's helping maintain what I have but I can't say this product in itself is everything is made out to be. I bought this tonic based on the recommendations of a friend with perfect skin! With the change of the season, I was starting to get some pimples and I thought it might help. I don't have especially sensitive skin but I found that the tonic made my face way too dry which then led to me getting more pimples than before. I started using a much cheaper drugstore L'Oreal toner instead which has pretty much solved all my problems <3 I wanted to like this but it just didn't work for me. There's nothing awful about this product but I just haven't noticed it making any difference to my skin, positive or negative. This is the best thing ever. If you don't use this you should be. I didn't really like that product, because it was a bit drying and I haven't seen any positive results. Maybe it would be better for oily skin but definitely wouldn't recommend it to someone with dry/sensitive skin like mine. Tip: There is a tonic like that in The Ordinary range. Pretty similar ingredients, a lot cheaper. Repurchased because I am so in love. Lasts a very long time so worth the investment. My skin looks the best it has! I am 30 years old with a history of adult acne and this has changed everything. So much so I can comfortably go foundation free! My skin has never looked so good and you can really see the results! This is a staple product for me, and I constantly repurchase it. For me, it doesn't sting but I can feel how much of a job it does, plus the results are visible after continued use. Keeps my skin smooth and brighter. I found this worked straight away for me and wouldn't be without it. I'm 50 so maybe this is a great product for older skin. I put this on my nose as it’s very congested/ I struggle with blackheads and I wanted to test it on a small patch of skin before using an acid all over my face. a couple of days later a film like a layer of skin had formed on my nose and when I touched it the skin started to peel. A few days after and I am still left with peeling skin on my nose - unless you’re into the scaly skin I couldn’t recommend this less. I give this a try as I read everywhere how amazing this product was. So it must be true, well it is true! I use it not only on my face but also on my arms and legs after the shower and before the moisturizer: it really leaves the skin smooth and soft. I don't particularly like the Pixi packaging so I don't know if I will repurchase it. I'm still thinking about it, but the product is really good. It works wonders on my skin. I have very sensitive skin and it's also oily and it has been working great. The % is great for me. Great great great. Smells good, nice constancy, helps brighten and get rid of dead skin cells. Do not use on irritated or sensitive skin though. I just don't see results with this one. Maybe I use enough acids in my skincare routine as is. Not sure about this one and I always feel like I should dilute it with a moisturizing toner or a mist. I was skeptical at first that it will live up to the hype, but I'm really impressed with it. It stings a little after applying it, but makes my skin look radiant. I've been using it for over a week and I feel like my skin texture has improved. My skin is normal and it didn't dry it out, but if you have a dry skin I wouldn't recommend it. I just have to agree with everyone else here! It definitely lives up to the hype it keeps receiving. My pimples are dried out and gone within few days (we're talking about like 2 days!) - Combined with the rose cleanser my skin is just happy! Best toner ever. Made a huge difference to my skin and I will continue to repurchase. Left my skin looking glowly and hydrated. This is a great product! Dries up imperfections over one to two days, restoring skin to a more balanced level. Definitely for night use as leaves a very sticky residue. I wouldn’t recommend using more than two or three times a week if your skin dries easily as is very stripping (hence why it is so good). Overall a good product more suited to greasy, combo skin types, but I wouldn’t recommend for dry or sensitive skin! This works wonders for my skin, I couldn't live without it, I use this every day. It cleanses and brightens my skin and has even helped clear up some of my acne, this is now a holy grail product for me! Highly recommend! This very hyped product first disappointed me because my skin reacted sensitively with breakouts but I guess it was just a question of skin adaptation and now I am really enjoying in. It is a fine toner for a daily use but those of you used to acids, you might need sth stronger at least 1/2 times a week. But overall yes, I would repurchase. My bottle is almost empty now and I haven’t noticed any changes at all. It literally did nothing. I was really excited to try this product because of all of the good things I’d heard about it, but for me it just didn’t work, so I obviously don’t get the hype at all. For me personally, this product was a waste of money. I always repurchase this product. I notice a change in my skin texture when I don't have it on my shelf. When I do use it before bed, I wake up with smooth glowy skin! No texture! And any pimples I had the night before aren't as red and angry. Smells lovely too. It's amazing!! If you have oily/combination/acne skin, try it! Maybe not for sensitive skin types. This is really the best toner out there. I'm on my third bottle. For that price I couldn't ask for more. Wow! I’ve been using this for a few weeks now and it’s made such a difference to my skin! The tone and texture have improved, after the initial skin purging, which lasted just over a week I now have glowing skin, my pores are significantly reduced and my make up application goes on like a dream! Will definitely be re-purchasing. One star is too many! I use many Pixi products including the overnight glow which I really like. Unfortunately, this broke me out in small bumpy spots, many of them, each time I used it which then took a week to clear up. Awful. Avoid! Gentle, cleans pores up nicely, calms the skin. A great introduction to acids. I have currently purchased my 4th bottle which suggests how much I rely on this toner. I use it daily in the morning after cleansing and exfoliating. It takes away any excess dead skin which I haven't washed off my face and makes my skin feel fresh. I have blemish-prone skin and I would highly recommend this to someone who is looking for a good toner. Got this over Christmas.........my skin is now transformed!! Smoother, softer and clearer. Highly recommended! Purchased this after reading so many amazing reviews. This product did not work for me at all. I find Paula's Choice BHA liquid and First Aid Beauty exfoliating pads far more effective. I also didn't like the scent of this product. It seems to work for loads of people but I wouldn't buy it again to try it out again. Love this product, just really wishing Pixi would drop the fragrance, which is far from ideal for sensitive skin, and because otherwise the formula is so, so brilliant! I tried too many toners and none ever worked like this has. My skin cannot live without this product, the second i'm out of this and I try a different toner my skin is just not the same. This will always be the number one toner. No skincare product is better. I have been loving this as a toner for a while now, it prevents spots and leaves the skin looking brighter. Will definitely continue to use this. I started using this when I started a skin care routine and altogether the products helped my skin look more hydrated and even and got rid of the tiny bumps I had on my forehead. however, when i started using the products I got small bumps/pimple type things around my face and I wasn't sure what was causing it. I stopped using this for the last few weeks (I got lazy) and haven't had any of those bumps, I also read other reviews and others experienced the same problems using this. I will try using it again and see what happens. I have always struggled with dry patches on my skin, but since I started using glow tonic, this problem vanished almost completely. Some people's skin won't tolerate glycolic acid, but I did not have any issues! Been using this a few days now and I can see a difference as my skins glowing will definitely purchase a bigger bottle. My go-to if I want an acid that’s gentle, soothing and hydrating. My skin loves aloe vera and the addition to the glycolic is welcome and makes it such a well-rounded product. I use the Other toner more regularly, but every time I use this I’m reminded how good it is in contrast. Still not 100% sure if the nicotine ingredient that does something to your blood vessels should be a worry (the Other toner uses it too). I really like this if I’m breaking out - I go really gentle with the cleanse, this, and then a really firm massage with a facial oil. Can’t beat it, never irritates it aggravates. PS I hate liquid gold so try this if you do too! This product was the first AHA toner for me to try and I love it so far. It is gentle and gives me glow skin next morning. It has made a big difference for my skin, making it look more youthful and glowy. It has also gotten rid of blemishes and flakey skin. I liked the way it kept my skin glowy and fresh, and I feel it reduced a bit the pigmentations in my face. I've been using this product now for a few weeks and noticed great results overnight. The benefits have slowed down as my skins adjusted to the product. But I am also using the Mud cleanser, Oxygen mask, Glow Serum all of which make a radiant complexion. I find he serum sometimes a little thick for my sensitive skin (also acne prone) so tend to not use this daily now but just once a week. Unfortunately whenever I have a big hormonal change my skin erupts into tiny bumps all over my forehead, on its own this can take literally years to go away. I used the pixi glow tonic and within a couple of weeks the bumps had completely disappeared. Absolute life changer, in my opinion. I'm not sure I've noticed a huge difference in the appearance of my skin but the texture of my skin has changed dramatically, it is so smooth now. Honestly the best product I have ever bought and I will never stop using it. Definitely an incredible product for skin texture, buy it. I was using a Salicylic Acid toner which really irritated and stripped my skin. This one is sooo much better. It smells very clean and soapy, refreshed the skin and you can really tell that it thoroughly removes excess oil and dead\dry skin. Very happy with it. Tried this product many times, even tried building it up gradually over a few weeks, but it was just terrible. I have small white little bumps all over my cheeks now which I've never had before and will not be using this product again. I have almost a full bottle of it left which I will never use. This stuff is so great, after a few days of use my (combination) skin manages to get rid of any little blemishes brewing under the surface and texture subsides, now I just need to remember to use it consistently. Bought this for the first time at Cult Beauty and boy I really regret not buying more than 1 of this because this toner is the bomb. Plus I get free shipping for first time purchase. I love this product. It does what it says. For a person that never had any experience with chemical exfoliant, this was really gentle. My first experience when using it, I felt a slight tingling on my large pores but it wasn't that bad. The 2nd application, I felt nothing. I eventually have glowing skin now after using it for about 3 weeks. Yeay! The one time in my experience where the product has lived up to the hype. Have been using for a few months now and the texture of my skin has definitely improved. I have oily, acne prone skin with quite a few dark marks. Has improved the appearance of the dark marks considerably and I would even go so far as to say I have a definite "glow". Purchased and used for a few weeks 3 times a week and gave it away to a friend. Didn't really like the film it left on my face after use. Broke me out, not sure why or how as I get on with all other glycolic products. Much prefer Alpha H's liquid gold. As someone who has always had amazing skin, I was devastated when I reached my 20's and overnight that changed. I had tried so many new routines and products that I was left strapped for money, half used products that didn't work and out of ideas. I came across this on here and had remembered seeing it plastered all over social media - so previously, because of that I had refused to believe it was "that good" without suspecting bloggers being paid to promote it. I had reached a point of trying my last product and then just moving on to accepting my horrible skin, so I tried it. I'm exactly 5 months down the line now and my skin is COMPLETELY CLEAR. I use this twice a day: morning and night. YES I do use other products in my skincare routine but I truly believe this is a staple product that has worked alongside my other products perfectly and helped give me amazing glowy skin. The amount of dirt this toner still gets off my skin after I think my skin is completely clean, is truly amazing. I'm on here about to purchase a second bottle. I'm not changing anything in my routine now I've found what keeps my aggressive skin under control and this has definitely helped. I bought this tonic after reading many reviews. I currently use the Dr Dennis Gross acid peel but also wanted another option on the days that I do not use it. I have only been using it a few times a week for two weeks and I am pleasantly surprised. My skin is glowing more so after using this and my forehead has smoothed out. There is barely a sting after using and very little redness which goes down after about 10 mins. I have acne prone skin and this product has not caused to break out, if anything my skin does seem to be clearer. For the price I believe this is a bargain and will definitely repurchase. This is a miracle in a bottle truly. I have been using this per Caroline's recommendation and has worked wonders for my acne prone, combination, sensitive skin. I have limited this to once daily, since my skin is really sensitive and I use other exfoliants nightly. My acne has reduced, or any new pimples come to head more quickly, leave no marks, and leave just as fast. Won't stop using this. My first exfoliating toner, and I love it to bits! I've repurchased this great item several times, and it brightens my skin and makes me more glowing every day by day. Some friends with sensitive skin said that they couldn't handle to use these everyday, so if you have sensitive skin just use it twice a week, and dont forget to combine them with great hydrating toner. I typically don't leave reviews but I am in LOVE with this product. Since it's been added to my skincare routine, all those tiny little pimples that I could never get to go away has disappeared. I have extremely sensitive skin and I was apprehensive about this product, but it's honestly amazing. It doesn't irritate my skin in the very least and my skin always looks dewy and hydrated after using this product. This is becoming a permanent fixture in my skincare routine and I will definitely be purchasing more in the future. Would HIGHLY recommend. Before I purchased this product my skin had little bumpy spots and I would occasionally break out. However, since I have had this product, my skin has been exceptionally clear. This has not only made my skin feel smoother, but has made it feel tighter as well. It has lasted me well over 2 months and has become part of my everyday skin care routine. So worth the money. This is a lovely and gentle acid toner. I only use non-foaming cleansers, and even if I double cleanse, I like to apply this after cleansing for a really clean feeling, without the tightness and drying from foaming cleansers. It feels like it really just lifts the dirt of my face, and the result is clean, smooth skin. However, if your skin is accustomed to acid treatments, 5% really won't do any miracles. I mean, it's a great acid toner that can be used on a daily basis, but I'm not seeing overwhelming results based on this product alone. I will continue to use this as a very mild daily exfoliant, but I'm also going to try the Pixi Glow pads for a little heavier exfoliation action. I have tried better, more effective toners but this is perfect for every day and I love to use it in the morning after cleansing my face. Glycolic acid does wonders for my skin and this bottle will last you an age. I still have mine, and it still works like magic. This is the kind of product that you don't realise it is working until you stop using it. Highly recommend to all skin types. I like to keep a few choice acid toners in rotation depending on what my skin needs. I try to keep them reasonably priced without cheap-ing out on the effectiveness. This one definitely fits the bill. My skin absolutely loves this toner and after a good 2-3 weeks of use, my skin is noticeably healthier, less irritated and radiant. I LOVE THIS PRODUCT!! was sceptical about buying it because of the high price but its honestly worth every penny. My skin is noticeably clearer and healthier after just a week and it has a literal GLOW which many people have noticed and complimented. Was worried that it would be too harsh on my skin but the ingredients are all very natural and soothing. The scent is definitely strong and maybe not for everyone but I personally I really like it. Will definitely be re-purchasing. I bought this after it was recommended in an article somewhere. After about a week I was getting up every morning thinking 'oh hey my skin looks really pretty good today' - clean and clear and... glowing? I would recommend this product absolutely. Never used any sort of tonic in my life before, but this has been an amazing find. From the first week I could see a noticeable difference, the tone to my skin is a lot more uniform, I actually see a glow and feel so much more confident in my natural skin. It's an amazing buy, the price is amazing too. I've already recommended it to friends. Love the smell and I love how it behaves on my skin. This is one of those things where it does exactly what it says on the tin. Have been using it a week and definitely have the glow factor. I love it. Will be a part of my beauty regime from here on. It's lovely and cooling and makes my skin feel firmer straight away and I wake up glowing. I use it morning and night. Loving it. I love this product, my skin is so smooth now. You don't need expensive products to have good skin, this product changed my skin. Great one! I swear this has done more for my acne than any other "acne" products ever! Great value for money, doesn't tingle too much or irritate my skin, clears and shrinks my pores, balances the dehydrated and oily parts of my skin, and helps make my hormonal acne way easier to manage! Bought it in the glow kit along with the glow mud cleanser and glow mask and have already repurchased all of them! You will not regret buying this. Love this so so much. My complexion has definitely improved and gives me a lovely fresh glow. I would recommend this hands down to absolutely anyone! Glow tonic should be in everyone's skincare regime. No matter what your skin tone or skin type is, it works! I have now recommended this product to all my friends, all with different types and tones of skin. Not only has it cleared up spots and blemishes, it has brightened and evened out our skin tones (especially seen in us darker skinned girls in the group) and shrunk our pores, making our skin look more youthful. Using it twice a day, it lasts ages so it's great value for money. Highly recommended. 119 reviews is probably enough to make up your mind whether to purchase this, but I honestly just love it I had to leave a review. Winter made my skin so dry and broken around my nose, which is weird because my skin is naturally oily T zone, and normal everywhere else. ONE use of this and my dry parts on the sides of my nostrils completely went!! I will say however that my skin is also sensitive, so if I use this product more than once a week it does severely break me out. I think using once a week to clear away dead skin cells is enough anyway. I have noticed a significant change in my skin tone & texture. My blemishes have neutralized, and my pores have shrunk, however you could also say this might be the other products I use along side this, but if I don't use this, I do notice my skin looks dull. I have real sensitive skin and this toner has not irritated my skin at all. It really has made a change to my dull looking skin. I already purchased my third bottle. Must have! I bought this a few months ago after reading the recommendations. It really is as good as they say, and the price is incredible. It has such a lovely, softening effect on your skin which you see happen very gradually. I use it in the morning and at night and a little goes a long way. I will always use this product and have no problems in letting people know that it's a worthwhile purchase. I have dry skin but I am in my 20's so my skin is in good condition. This does not make your skin dry; very subtle no stinging etc on skin; gives you glow specially soon after using. But i have few marks from rare pimples I get and this does not helped me to reduce or fade them.. overall a good tonic.. Loved the smell and the fresh feeling this gave my face, and after reading all the sparkling reviews I had really high hopes. However I have acne skin which is also sensitive, and after using up a whole bottle I feel this only aggravated my symptoms. Would probably work better on less problematic skin. You can feel the light exfoliation from this toner and it takes your skincare routine to the next level. I have combination/oily skin and this does not break me out or irritate my skin. My skin feels so refreshed after using this and my skin routine feels incomplete without it. Will repurchase as soon as I'm running low but it seems to be lasting well. Best toner ever. You won't regret buying this. It's affordable, lasts a long time. Just bought 3 bottles cause I simply can't live without it now! I have used Paula's Choice 2% BHA before and it worked great but I have sensitive skin which was very red every time I used it and had to switch; so then I tried REN Clarifying Toner which is strong from my skin and good but I would use it on alternative days or once a day but never twice a day. When I ran out of REN I decided to purchase the Pixi glow tonic because everyone was raving about it; I was very disappointed and I had it for almost a year now and I'm still halfway through the bottle. I noticed nothing even though I used alternatively with the Zelens PHA pads (which does work on my skin). I tried using it alone twice a day for several days but it would only cause redness and nothing else changes; pores, texture, black/white heads, pimples, and tone was all the same no changes at all. I hope my review helps and I would say get Alpha-H liquid gold and use it few times a week and you will see much better results and it works even for sensitive skin; way better than a daily exfoliator that doesn't really work. It works as a normal toner but not what I expect from an exfoliating toner. BTW if you have a sensitive skin instead of following the directions and what everyone else says; try to follow your skin's reaction as all exfoliating pads/toners say to use them twice a day but I use them once everyday and it works fine for me while using them twice will irritate my skin overtime and sometimes immediately. I absolutely love this product!! I have super dry, rough skin and this miracle worker is a huge relief for my skin at the end of the day. The fact that it last for months is a huge treat!!! When I read all the glowing (excuse the pun) reviews I had to try this. My dull sensitive skin needed something to perk it up and this looked like the perfect. I introduced the product slowly, using it once every 3 days but my skin didn't like it at. I had breakouts, dry patches and my skin looked so much worse. I passed it onto a friend but she couldn't get on with it either. I have rebought this three times now and I go into a state of panic when I see it running low. It has really helped with my acne scars and if I get a spot breaking out ill put this on and it will be gone much quicker. It has also evened out my skin tone and made it much sooner. Unlike most products, it does what it says on the tin. This is the best toner I've ever used. I am prone to breakouts and I have an uneven skin tone. This has made my complexion 90% smoother, clearer and even in colour. I cannot rave about this product enough Bought this 6 MONTHS AGO! I've used this pretty much every day for six months and I've just ordered my second bottle today. Instantly cleared skin, evened out skin tone and gave my skin a fresh youthful glow. Obsessed with this product and brand. I think my skin just can't stand this product, I just started using this like 1 week ago and I started to break out a bit... I do feel a heating feeling on my face after I use it. Didn't see much benefits for my skin at all. The scent smell really strong, like a strong spa smell. Don't really hate it and don't really love it. I am over 40, with rosacea and menopause so my skin was previously a train wreck. I bought this to try because it had so many reviews and I as had to change my entire skincare routine. As part of my routine I love it, it doesn't sting, feels soothing (which is surprising with 5% glycolic) and it smells oaty (which I love, but some might be put off). Nicely priced, I will be buying this regularly - although the big bottle looks like its going to go a long long way! Trying their cleansing balm next.. I'm now buying my fourth bottle and my skin has transformed since using this product. I use it once a day at night and I can truly see the difference when I don't use it for a period of time. A must have! I cannot live without this. It's cheap, it's gentle, it's simply great. I just use it as a toner with a cotton pad, both day and night, to remove any excess dead skincells I might have on my skin. I also use it under my eye. It is so gentle that you almost forget it's a acid toner. However, this is not something you use and your skin will magically become radiant and beautiful. 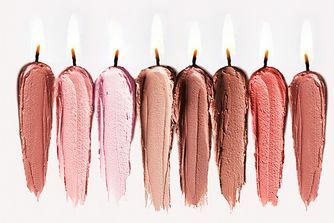 To me, beautiful skin requires time and investment to maintain. This toner is that just something extra to boost the skin before you apply serums/oil/cream on top. But I cannot get enough of it, I have three bottles stashed at home so I can make sure I won't run out. I started using this about 2 weeks ago and my skin has been transformed . I have been plagued with acne for years and although I cannot be absolutely certain that it was this as have been using perfectil - skin and hair tablets, I noticed the difference as soon as I tried it. Thank you Pixi - love it. Not sure what so great haven't seen any remarkable difference. Smell is off putting. I'm on my second bottle! When I first started using this I was apprehensive because for the first few go my face was bright red and I didn't feel like it was doing anything but causing irritation to my sensitive skin. Within a couple of week I soon noticed my pores were smaller and tone more balanced and my skin was smooth. I just love it! I bought this as my skin has been dull and dry around the nose and under eye area. After using this for only a week I have noticed a HUGE difference. My skin is so much brighter and the dryness has disappeared meaning my makeup applies a lot smoother. I also have sensitive skin and this product has caused no issues in that department, overall 10/10 and definitely worth a buy. I started using Glow Tonic 1 month ago twice a day and have seen a dramatic improvement to my sensitive/dry skin! Redness has been reduced by 80%, dryness is nearly gone, and as a pleasant surprise a few very small skin tags have vanished! I cannot foresee ever abandoning this product! Get this in your routine! Love this as part of my routine. It makes my face feel so clean and fresh and helps absorb oils and moisturisers. Brilliant. Of the exfoliating toners that I've tried, this is definitely the best one. Gets rid of dry, dead skin and leaves your face feeling super clean. I got whiteheads on the second day of use. Also it leaves some kind of heavy film on the skin. I don't like it at all. This toner provides a light exfoliation that you can repeat few times a week (not daily though, otherwise it will be too much). It is gentle on the skin, it removes the dead skin cells and gives you that healthy glow that everybody's looking for ! I really see the difference since I used it. I'm on my second bottle now. Pixi I love you! I really wanted to love it but.. I'm suffering from adult acne and tried many different cleansers and other products which none of them have quite worked so well as this. Since starting to use the product, I haven't had any bad blemishes, and it has improved the tone of my skin as well. My skin still gets oily during the day but definitely less than before. Only minus is that it does irritate a bit as my skin is quite sensitive too. Will repurchase. Worth every Euro spent on buying it. I live in Paris, so my english is not fluent, otherwise I would tell more about this magical product. Best skin care product I've ever used. You'll not be disappointed by this. I started using this 4 weeks ago after seeing this in the TOP 10 products and reading the rave reviews. I can honestly say my skin has never been better, I used to suffer from really small 'under the skin' bumps especially on my chin and forehead, and they have completely disappeared. My makeup applies much better, and I can ever brave 'no makeup days' and not feel self conscious. I've just purchased a bottle for my brother for his birthday, and started my boyfriend using this too. I love me a bit of acid and this gem is just awesome. 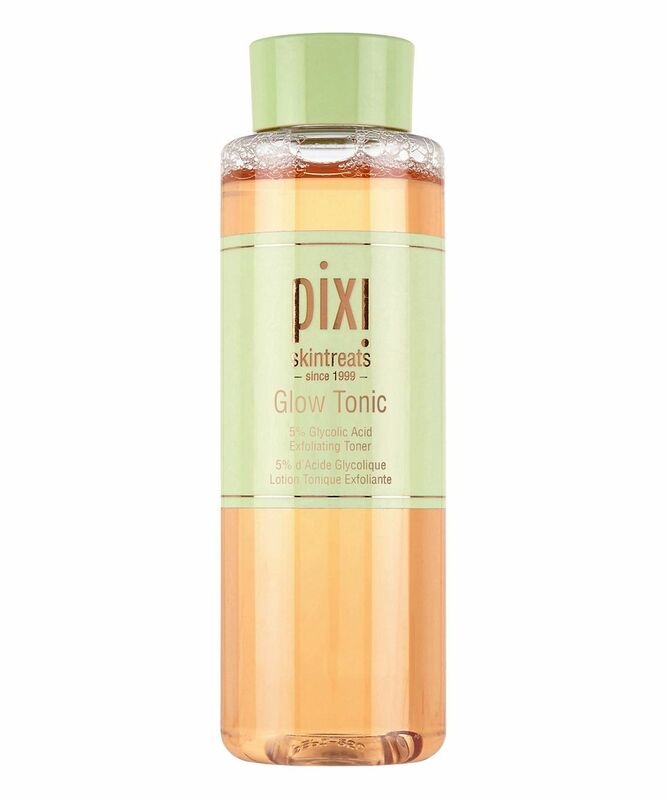 The Pixi Glow Tonic is a really good place to start if you want to introduce some glycolic acid into your routine. It has never irritated my skin in any way and is just so gentle yet effective and I believe that I'm on my 4th bottle of this! This is a gorgeous smelling, easy to use and highly effective toner. I would not be without it and am now on my second bottle. This is the first product I've ever left a review for and there's a reason for that! It's just bloody great! I've been 'umming and arrring' whether to get this for months and I'm so glad I finally did. I've only used this in the evenings for the last 5 days and I already saw a major difference the first morning. I get major hormonal acne on my chin lately and this has just cleared it right up! My skin is smoother and clearer than it has been in a long time and it is just nice and gentle on my skin. Give it a go! I received this in a beauty advent calendar and had never heard of it before, it has done wonders and has definitely cleared up my skin, I will 100% continue to use this in my skin care routine. It only took one use and my skin was better. No more redness and my skin glows!!! Beauty staple for a good reason! I love this so much, I literally never use manual exfoliators as they make my combination / oily early twenties skin even worse, but this makes it SOO much better. Such a dream product, my skin is the best it's ever looked. Please don't ever let me be without this! I use this every single day. I have all of my friends hooked. It is truly wonderful for gently exfoliating skin, smoothing and brightening. Just amazing! I really like this:) I don't find that it stings at all unless I've had a small break-out. I have seen people saying that they use it daily, I use it about three times a week at night and I really think that's enough. Since I started using it I have found that my skin is brighter and clearer - I am not at all acne-prone or overly oily or dry but this just adds a 'clearness' (sorry, I know that's not a word!) to my skin, and it really does feel softer. It's a little bit pricey as I'm in France and pay in Euros but the bottle is huge and if you use it a couple of times a week its going to last. I think when I finish this bottle I will try the pads. I am definitely going to purchase more Pixie products! I love this! I purchased after reading the reviews as I was looking for a new cleanser and toner, and also purchased the mud cleaner to use with it. I noticed a difference after about 3-4 uses. My skin looks clearer, brighter, my skin tone looks even. I have been using this for around about 3 weeks now AM and PM. Taking off my make-up with Bioderma and then using the cleanser and Glow Tonic. I have oily/combination skin, it's definitely helped with my oiliness and I will 100% repurchase! Also super fast delivery from Cult! I wanted to try this tonic for ages and I wasn't disappointed. I have heard so many excellent reviews and wondered if it is really true. And let me tell you IT IS. The smell is divine, it leaves my skin radiant and smooth. It assists me with my pimples and minimises the appearance of redness on my face. In cooperation with other skin care products it works wonderfully. I reckon it is worth each penny. Queen Hirons recommends and she is always right, this is brilliant! You really do glow. It makes your skin look lush and plump. Will never be without it now. I am very happy with this tonic. I am not a regular user of this type of products but got a sample in a goody bag and was so impressed that I ordered the full size. I use it at night, after cleansing and not on a daily basis. My skin is combination and mature, with no blemishes. 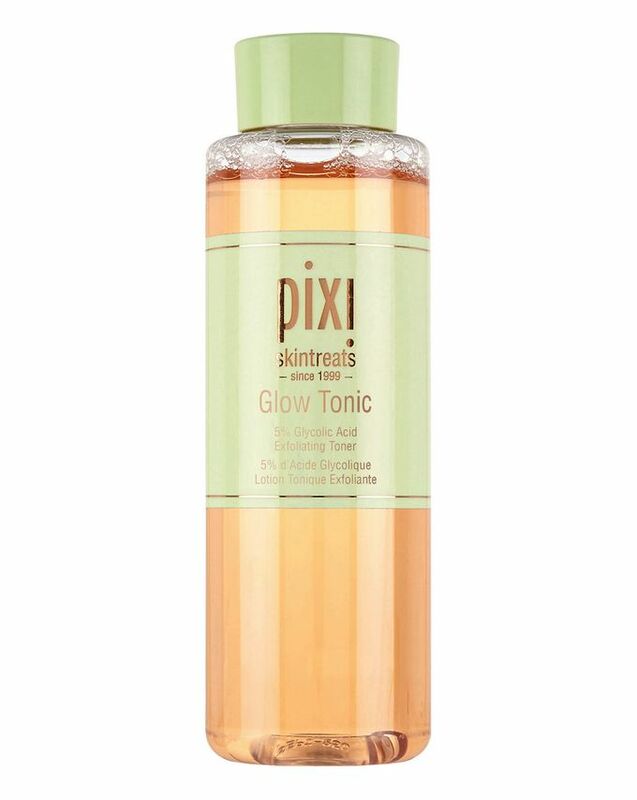 Pixi Glow Tonic is the perfect toner to use day and night. I soak a cotton ball in it and swipe all across my face after cleansing. I don't have to rinse it, just add some hydrating toner and it leaves the skin ready for a night cream or ready for moisturizer and makeup. It smells so nice, and doesn't burn. I saw a difference in my skin in a week. It's gentle, yet effective, and I can't imagine my routine without it! I found the price is reasonable for such a great product. Literally my new cult product and cannot live with out it. I use this in the morning and it gives me the most amazing glowing looking complexion that I have been waiting for a product to do. For the amount you get and for the amazing results it gives, I cannot fault the price. 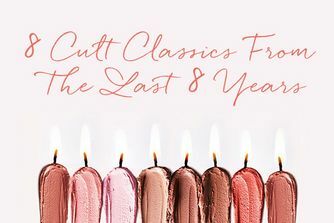 A flawless product well done Cult Beauty ! I believe the miracle a good tonic could create for cleansing the skin. As I have been suffering from pimples and blemishes in addition to sensitivity, ı have been looking for a tonic which really cleanse my skin skin without any irritation. After finishing half of the bottle I really believe that this THE tonic I've been searching for. Compare to other expensive products with big names this promises more than you pay for it with its benefits. I just love it! I have a normal skin type and loved this product. I found it left my skin feeling clear and glowing. However, just a fair warning for anyone with very sensitive skin - my brother has very sensitive skin and upon use of this his skin was very irritated. It also left it very red and blotchy the following day. If you are also in this boat, perhaps one to be cautious of. It helps with my blackheads and blemishes, smells nice and my skin is so much cleaner and softer now. It's perfect! I've been using acid toners for a while and therefore I didn't have a "wow" moment with this as I didn't see a change in my skin. However, it did a great job at keeping spots and bumps at bay whilst being very gentle and not aggravating my skin at all. I would definitely recommend this to anyone with acne prone/oily but dehydrated and sensitive skin like mine. This product smells good, works wonders, is surprisingly gentle and leaves you with clear and glowing skin. I couldn't rate this highly enough. This is the type of product that I would cry if it was ever discontinued. It's so gentle on my skin and never has my skin looked so smooth and clear. I have much less skin congestion since using this and such good value for money. This is an amazing exfoliating solution that helps you achieve the clearer and smoother skin that everyone wants without having to use harsh exfoliating products with beads in them. After reading many reviews of this tonic I decided to purchase and was not disappointed. I have used other acid toners before and have found them to sting but glow tonic is not harsh on the skin at all. I use this everyday to keep my dry skin patches away. After using this my skin feels dewy and brighter... A staple in my collection! I needed a quick and easy toner that would help to keep my skin clear and help keep the spots at bay but not overdry it. This is very convenient to use and makes my skin feel fresh and clean afterwards. I have only been using it for a week but already my skin feels softer and has more of a glow. I use this two or three times a week in the evening and in the morning I can really see the difference. Lovely smell, and not too harsh on my quite sensitive skin! A nice, inoffensive acid toner (particularly for the price! Bargain!) leaves skin soft and gloat with no burning and none of that weird sticky residue feeling some acid toners can leave. Nice big bottle too! Absolutely fantastic product. I bought this after reading Caroline Hiron's review/praise of it. And she was onto a winner, that's for sure. Really does leave my skin glowing. Feels mild on application but you get noticeable results. The only thing I'm not keen on is the smell but that's down to personal preference. A new staple in my skincare routine. I absolutely love this product! I've used countless amounts of toner's and I've found they have all been drying, burning or do nothing for me. Glow Tonic feels so cleansing on the skin, and the evidence is on the cotton pad! Even after thoroughly removing makeup. It lifts all the dirt from my pores, instantly giving me a fresh-glowy look without stinging or drying my skin - I love it! It has most definitely helped fade any blemishes over time and slowly start to balance my oily t-zone. Thank you! I am not a huge fan of tonics, I know you should use them and all that but tonics have never done anything for my skin. Then, I tried this one. The smell is nice but the best part of it is that it actually works and you can see effects in a few days. Clearer and brighter skin is possible. It is not a miracle-worker but it helps.